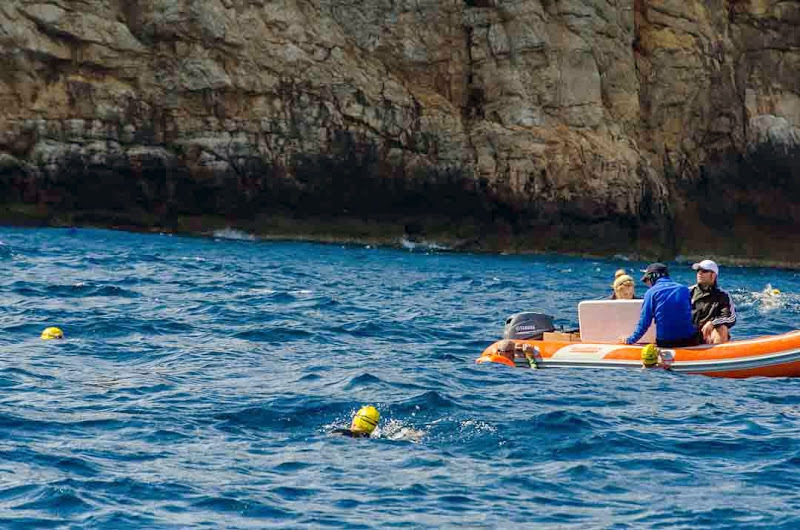 Swimming around an island: a spectacular challenge! 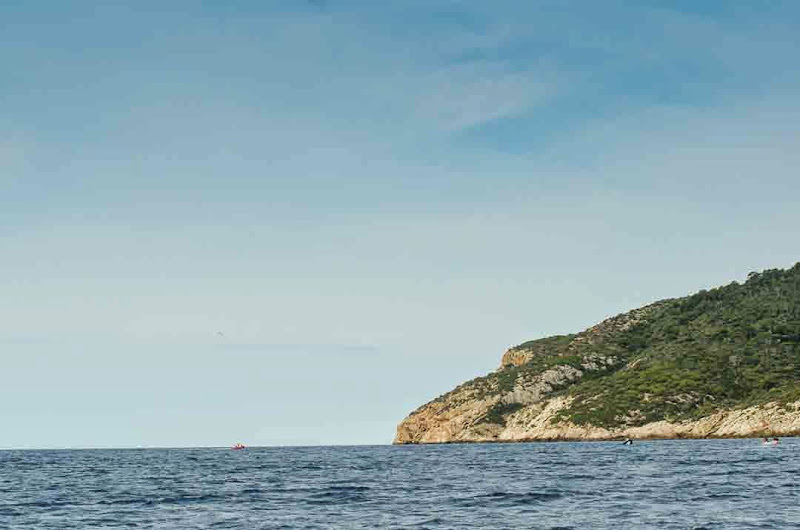 From the Mallorca coast, full of light and life, to the dark side of the Cap de Llebeig where the Mediterranean Sea reveals its strength. It’s a long, dark crossing, fringing dizzying cliffs and impressive depths. The breathing of the kayakists and the people following in the boats shows us the light. 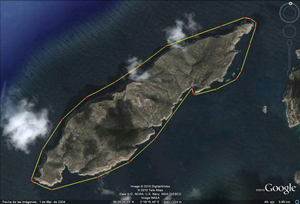 After surrounding The Cap de Tramontana the sea is shallow again and we‘ll get closer to the Port de Sa Dragonera, where we will have started this 9,500m crossing. We also organise every year a shorter version of 3.200m.